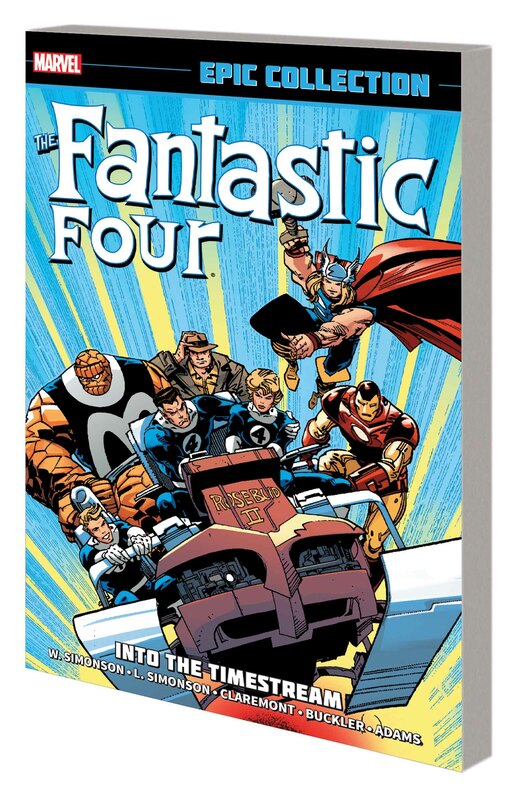 It's sensational Simonson storytelling for Marvel's First Family! When the FF's Congressional hearing is disrupted by dozens of vengeance-seeking villains, the famous foursome must deal with Capitol chaos! And when a time anomaly sends them into the future, will the universe fall to Galactus while the FF are clashing with Kang and Nebula? 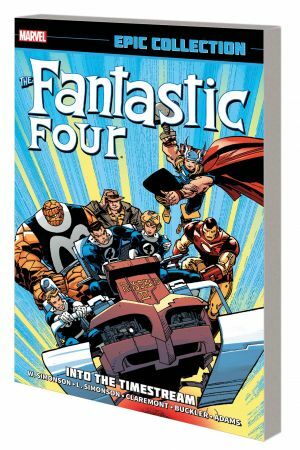 As Sharon Ventura and the Human Torch face personal crises, the Fantastic Four find themselves on a parallel Earth battling cyborg dictators and displaced dinosaurs! And the temporal madness only gets worse when the adult Franklin Richards flees to the present from the "Days of Future Past" timeline - with Hound-master Ahab in hot pursuit! Guest-starring the Avengers, the X-Men, Spider-Man and Death's Head! 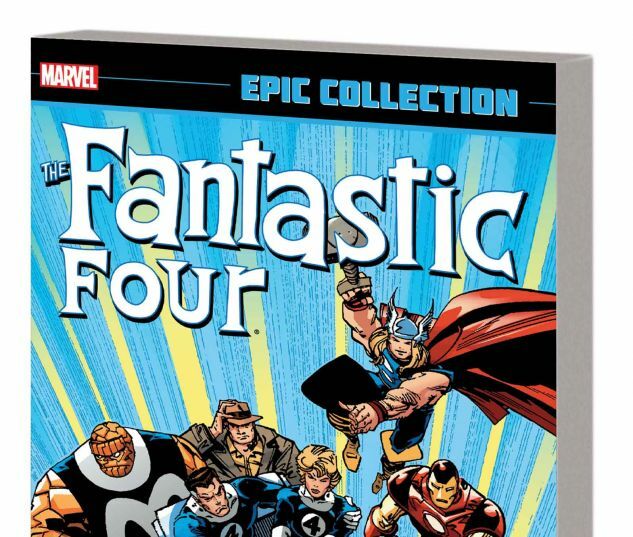 Collecting FANTASTIC FOUR (1961) #334-346 and ANNUAL #23; and material from NEW MUTANTS ANNUAL #6, X-FACTOR ANNUAL #5 and X-MEN ANNUAL (1970) #14.